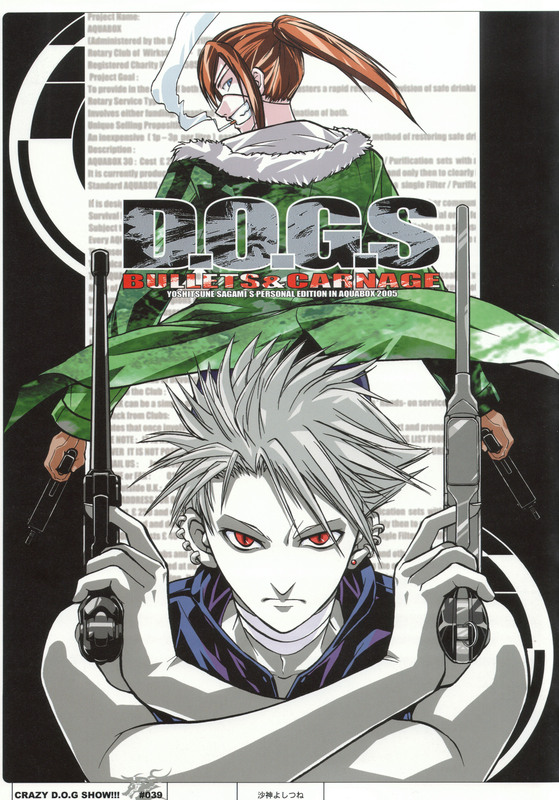 Bado & Haine, the heroes of Dogs, sharply drawn by Yoshitsune Sagami of Aquabox. A completely different style and approach to the image of Aquabox Girls. Browse Yoshitsune Sagami Gallery: Recent | Popular. I like teh green shades from Badou's coat! Luv the composition, great scan! four guns of two characters... make a good composition... Thak you for sharing nice image.